Contact FarWestChina - Media, Advertising, Guest Posting, Etc. 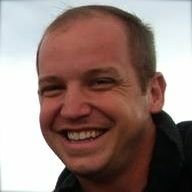 Thanks for your interest in FarWestChina.com! My name is Josh and if you’re interested to get in touch with me you’re in the right place. To make things as simple as possible, please use the appropriate means to contact me based on your request. As you can hopefully see from this site, my goal is to provide as much free information as I can about traveling to Xinjiang, China. For the past 10 years I have personally responded to over ten thousand questions regarding travel throughout Xinjiang! It was for this reason that I decided to publish a Xinjiang travel guide book that answers 95% of the most frequently asked questions I receive. If you follow the link you’ll find that I offer a free download of the trip planning chapter for you to try it out before your purchase. I still want to answer your question – I promise! – but there’s a good chance that you’ll get an email back from me saying that the question has already been answered in the book. 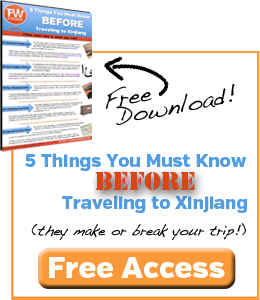 If you’ve found this website helpful in your planning, please consider supporting my work by purchasing the FarWestChina Xinjiang travel guide. I greatly appreciate it! If, for some reason, you have a specific question that you can’t find answered in the travel guide, use the contact form below to submit it to me. I’ll get back to you as soon as I can! Over 3,000 followers on the FarWestChina Instagram account. The FarWestChina audience is both targeted and very active, making it a great place to advertise your China and Xinjiang-related travel services and products. I offer quite a few advertising opportunities beyond the typical banner ads and cater to a variety of budgets, so shoot me an email to discuss what would work best for you. I welcome all inquiries and requests from members of the media, although I warn you that I will not go on record about any politically sensitive topics. Because I live here in Urumqi, Xinjiang and my real name is closely tied to this website (something most Xinjiang websites don’t do), I have to protect myself and my family. That said, I do make myself available for interviews and comment. I’m always interested in helping to promote Xinjiang-related material, so get in touch with me and we’ll see how we can work together. As a general rule, I don’t accept unsolicited guest post articles. If, however, you’ve recently traveled to Xinjiang and feel like you have information or an experience that would help future travelers, I’m very interested. It’s best to email me with an idea before writing and I’ll give you my personal feedback to let you know what may need to be changed before you spend time writing. Photos would need to accompany any articles. I will offer one link to your website in return for a well-written Xinjiang travel article.